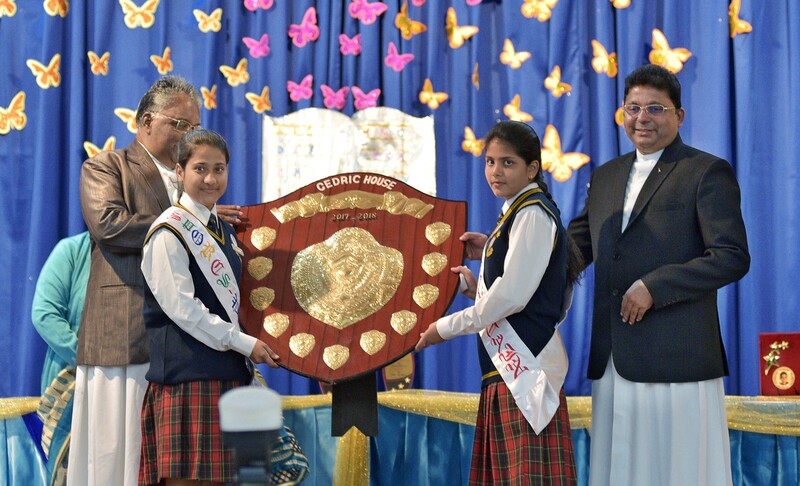 The prize winners of the previous academic year earned their laurels from the chief guest Rev. Fr. Rolfie D’Souza (Principal SJC, Prayagraj) for their hard work in academics in the Annual Prize Day ceremony which pronounced the end of the day’s event along with melodious and spiritual songs presented by the school choir. The Cedric House Shield was proudly bagged by the Tiger House and Anjora Tripathi received the award for outstanding achievement in Science & Sourish Roy in Maths ICSE (2017-18). Fr D’Souza delivered an inspiring and an influential speech. The vote of thanks was proposed by the Principal Ms. Dr. Zareen Rizvi.